The hand of Evo Morales, the President of Bolivia, is astonishing for a Head of State. Most world leaders have a strong need for power and control, possess high self esteem, and feel driven to seek out leadership positions. Large thumbs, long Headlines and good Jupiter fingers are often found on these people. Morales has a very unusual hand for a world leader. a flamboyance perhaps? A cheerful, outgoing and warm persona, something that some other popular world leaders also possess. 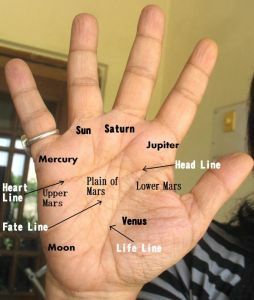 The main features of his hand are the short, slightly plump fingers, a palm with developed mounts (more so the lower mount of mars), dark thick lines (few lines), a short and low set Jupiter finger (tapering as compared to the other fingers), a long Apollo finger and thick thumb. He also has a low set Heartline, and the thumb is average. Check out a photograph of his hand here. A man like him would want power only if he had a plan of action. He is not the kind who would want to climb up the ladder just to get that next promotion, or advancement. What he would want to do is implement his agenda, an idealistic one in all likelihood. Morales is also the kind of man who would take big risks. And not be too bothered about the fall out. Very pushy, determined, and aggressive, he could easily step on someone’s toes to get his work done. Go at it with total fervor and passion, and keeping his eye on the ultimate goal. Being quite straightforward, and also a little volatile, he would push without attempting to be appease anyone, or any lobby. At times this characteristic can make him appear quite unreasonable and intimidating. Though hot-blooded, he is emotionally pragmatic. He doesn’t think that highly of himself (there are some issues with self esteem), and would therefore not cling to power unless he feels he is being useful in some way. For this same reason he is not afraid of failure. Power and ego centrism do not drive him. If he was catapulted to the leadership position that he is in today (and keeps getting re-elected) it is partly due to the charisma he possesses. Most important, it is due to his extraordinary determination which has enabled him to do things. Being straightforward, action oriented, and not obsessed with power, the work he did was to benefit others, not himself. He might cut an odd figure amongst the sophisticated club that comprises world leadership elite today, but it is unlikely that he will care. Evo Morales Ayma is a Bolivian politician, who has been the President of Bolivia since 2006. Or read other hand readings of the Heads of State of different countries around the world. I guess it is very rare to find someone not obsessed with power at the helm nowadays. So this must be good for that country, I guess.